Another day in Istanbul, another attempted blog post on the iPod. Will I have the patience? Today was another day of walking, ferries, tall places, and good food. We took the ferries around after a lot of confusion thanks to the horrible guidebook that I got at Waterstones. Really, it has led me astray now twice and once very badly: the kind of error that might result in me coming home in a body bag. Yoko's Japanese guidebook which I was initially apprehensive about has turned out to be quite good. Has led us to a couple of good restaurants and shops, although, always the empiricist, I wonder how they have made their choices. Today, we went back to the spice market and the girls discovered that if they just pointed at any sort of candy they wanted and looked longingly at the clerk, they could get a sample of it. Magic really. They kept getting things and then holding them up proudly to show me. I have luckily avoided the Turkish Delight for the most part aside from getting some samples myself, despite being much older and less cute than my daughters. My goal on this trip was to do better than the trip to Spain last year in terms of my eating (to eat much less) and attitude (to be less pissy) and have been quite successful in terms of my eating (I've eaten less) and marginally successful in terms of my attitude (I've still been pissy), but I was also quite sick in Spain so I suppose it's a wash really. I was more happy than I should have been with getting a Starbucks filter coffee today, but I was very happy. It was great. Like meeting an old friend by chance in a foreign land. I had two: one in the early afternoon and one after dinner. Is this the new McDonalds? Have I become that guy? The great thing I discovered on this trip is the simple, but effective mulberry. Have you ever eaten mulberries? They're absolutely fabulous. Barely sweet. Just perfect. Well. On to the next one. Taxi comes in 11 hours. My computer plus this Internet connection has not made for a good relationship on this trip. Not sure why that is. No matter. If it takes me an hour to get this to stick, it will be an hour. I also can't seem to get the photos to upload without the network crashing. Well, the trip continues to be a success. Lots of walking. Lots of beautiful things and kind people to meet. The city is full of positive energy. We waited a half an hour at the Blue Mosque during prayers before we could go in. The call to prayer from inside the courtyard was impressive in all the best ways. The girls continue to be a big hit and I am starting to take pictures of people taking pictures with them. They love it: in the Mosque today a man comes up and wants to take pictures with them and struggles to say in English, I want to take one to Iran with me. Well, the Internet connection is too overpowering for me to desire to press on. I need an iPad. Stat. You are American? he said. That is, I suppose, one way to say it. Thoughts, of course, on Islam, paternity, the other, but too much to type out on the tiny EEEPC keyboard. The wife (carrying unborn Mia), daughters, 6 passports, 4 currencies, one suitcase, three backpacks, and I are headed to Istanbul. Our four star hotel, which I found quickly on Expedia and which was on sale, has a terrace that overlooks this mosque and where breakfast is served. I had an incredibly productive week last week and have a good idea what I need when I come back. My eating feels under control and I think I will be able to come away from this trip with minimal (less than 500gram gain?) damage. I'm actually, honestly really looking forward to going. We have wifi in the room and I will have my EEEPC and iPod, so expect late night posts while the children and wife sleep. Yesterday, I posted about the past and the sometimes insatiable desire I have to return to the past. The truth? That is really only a part of my character, a large part, but certainly not the dominant one, at least in terms of action. Although my thoughts might be mired in the past, my body is moving forward. I am filling out a report that PhD students at the OU fill out twice a year, reporting on what you did in the last six months and what you intend to do in the next six months. It's a silly bit of bureaucratic paperwork, but if treated well, it can aid reflection and careful planning for the future. Although there had been some thought that we go home to Japan in the Spring of 2012, I think given our increasingly stable financial situation and prospect for good part-time work if everything else falls through, we will plan on staying in England until I finish my PhD, provided work doesn't come up that exceeds my minimum standard for leaving early (which is pretty high at this point). Last year, I had the initial idea about postdoc funding, but decided it wasn't the right thing to do after a month or so. My decision to not apply was predicated on two assumptions: that I could get good work easily in Japan or at least better work than I could get here, and that staying would cost upwards of £2,000. Both of these assumptions seem to have been wrong. Luckily (although originally thought to be unlucky), given the six month difference in school years between Japan and the UK, I will get a chance to give it a try here without hurting my chances of getting something in Japan, especially if I'm a bit patient. I'm still thinking about King's College, but there are other places that I'll be looking, particularly Lancaster as I know a lot of people there and they are focused on the kind of research that I am currently pursuing (power in language and impoliteness and metaphor). All this is very tentative, could change over night especially once the ESRC grant scheme is announced. But I think I will take the chance, knowing that the acceptance rates are very, very low. I don't look forward much to the weekend except on Friday morning as I make my way down to London to teach for the day. The walk to the Oakwood Station after I finish teaching is the highlight of my week, usually, as I feel unburdened by everything and get a brief reprieve as all I need to do is ride trains for the next hour and a half. Come Saturday morning, however, I feel listless, like there is something I should be doing. That thing is relaxing with my family, but I've never been good at this: it turns into a task or I get sidetracked by the Internet. I need to be doing something for it to work and for me to not spend the whole day thinking about how all I want to do is snack and lie around. Yoko is always helpful in not making a lot of food on the weekends, making it easier for me to not gorge although I fight myself all weekend, with marginal successes or failures. Sunday night, I feel like I am more-or-less neither ready to go to work nor have another day off. So now it's Monday morning, and I made my way to work, but have been unsuccessful so far in actually working. Instead, I have have been making small adjustments to my LinkedIn profile. Someone suggested that I keep an up-to-date LinkedIn profile and so far, it looks like it might be useful. There are a lot of people in Japan with profiles, so I think I might do some Internet cold-calling of people I have a lot of shared connections with, hopefully getting some movement towards gainful employment post-September 2012. I think I have another two posts in me about Japan and the earthquake, and then another one about my upcoming minor surgery, but we are leaving for Turkey on Sunday for a week (a task of relaxing: could be successful?) so I'm not sure when I will get to any of that. We'll have to see. It's raining in London today. I walked to the Starbucks in Bloomsbury, which was packed and decided to come down to Russell Square instead, where it is much less busy and I was able to get a table with an outlet for my (now three year old) EEEPC. I forget about this little computer from time-to-time and don't use it, which is really a shame because it does everything I could ask for and is super light. Especially when there is an Internet connection, it is perfect for me and sates my desire for an iPad. This is fine for now. I was going to post some complaining about sensationalist reporting on the 'crisis' in Japan, regarding the nuclear power plants. 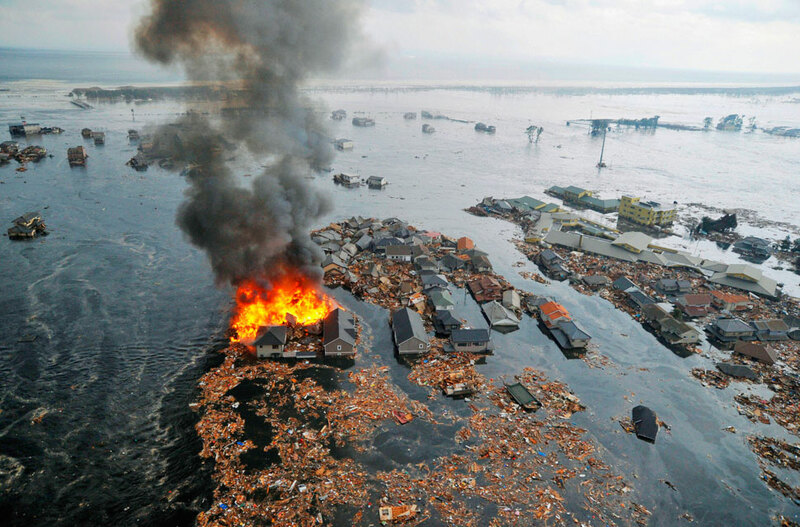 There is a crisis in Japan, but it has to do with the ocean swallowing up 15,000 people, not a troubling, difficult to solve, but ultimately very unlikely to cause widespread damage, problem at the nuclear power plant. The news I read in the Tube magazine this morning was maddening, a headline like 'Messages from the edge of hell' or something, referring to the people working at the power plant. No, hell right now is the shelters with minimal food and water, and elderly people without meds. That's hell. I got worked up about it, but I don't know why: it does no good. Nuclear power is a political issue and much more frightening than the earthquake for some reason, so it leads the story. For what it's worth, this whole thing has made me much more eager to see nuclear power more widespread with improvements on safety in new reactors. But that's just me. How many people died mining coal last year? What is the cumulative environmental effect of burning coal for electricity? We need some honest cost-benefit analysis here: no source of energy is perfect. Fatblueman (who is oddly neither fat nor blue) mentioned the need for us to think about a campaign to make affluence history. I think that's spot on. We need to use less, have less, consume less, and be happier. This would help a lot, I think. I think we're getting there, though, at least in America: the baby boomers tend to want more and bigger and better, but I see less of that in Generation X and my generation (what are we called again?). Hopefully we can get there. Yoko and I had a talk last night about how most of the people who died and will die were likely older people, 50s+. 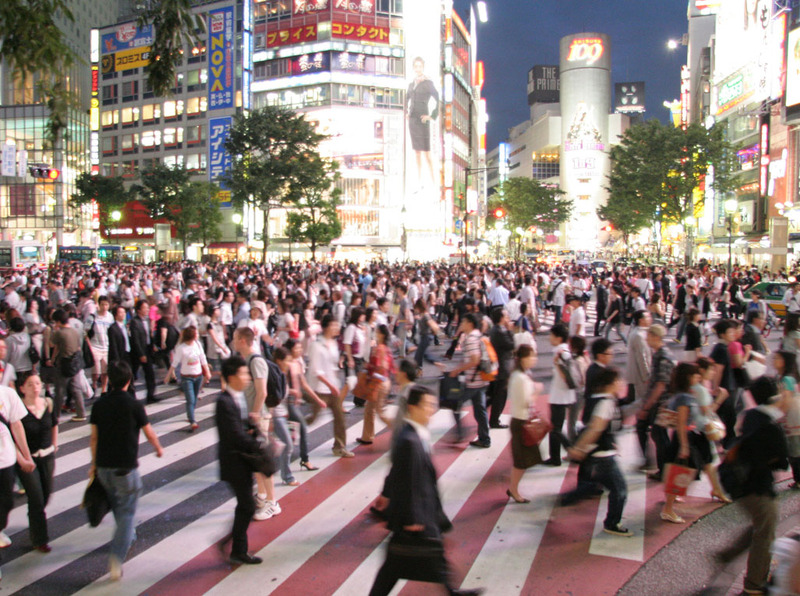 It's the nature of rural Japan: the young people have left for the bigger cities. This doesn't make the tragedy any less tragic, but it's a strange thing to read about an 85 year-old person dying in a collapsed building. They were right at the end of their life before the earthquake. Does it make it any less tragic? Yoko thinks the elderly people might be more willing to give food to the younger people. Strange, complicated business tragedy is. And I have to go to work to teach my Pedagogic Grammar class. I am feeling lethargic today and yesterday, partially because I am trying to level my weight off which brings with it a set of frustrations. First, you eat only a little bit more, but you stop losing weight, so you have less of a feeling of accomplishment and you still feel like you aren't eating a whole lot. This will taper off in time, and I am not not foreseeing any conditions that might contribute to an upswing in my weight for the next three months at least. Having gone through three upswings in the last six months based entirely on my lack of careful eating, I am tired of it and more likely, I think, to avoid eating a lot in the short term as I don't want to keep doing this. A healthy lifestyle is the goal. Next step is, in about two or three weeks, provided I stay level, is to stop counting calories and try to do this naturally. Not sure that will work, but I need to get to that point eventually. For now, I suppose I will just have to feel crappy as I try to sustain myself. Yoko, talented at many things, is also talented at tailoring. I have about five shirts I got at Uniqlo over Christmas that I really like (with buttons and ties on the sleeves to aid in rolling them up), but were wide around the waist and I had a hankering to have them tailored up a bit. Yoko did this for me on Tuesday and now, they fit like a dream. One of the nice things about losing weight and slimming up is having a much better, uh, line to your body. 'Line'? Is that the right word? Anyway, if you wear a shirt that is all baggy around the waist and the lower back, it makes the whole thing a moot point. Tailoring brings the back and waist in for a much cleaner, more orderly look and having a 'classic' cut shirt tailored is better, I think, than buying a slim cut shirt because you have the benefit of the wider chest and arms. Plus, the classic shirts are generally cheaper. I think I will stick with this cut in the future and employ the skill of the wife to do the magic. Why am I talking about the cut of shirts and not, you know, working on my thesis? Well, yesterday, I had an incredibly successful day at a 'writer's retreat'. I was initially quite sceptical, I'll admit: a bunch of academics sitting around in a room doing writing exercises? I couldn't think of anything more wasteful. Well, it turned out to be exactly the opposite. We did only one five minute exercise at the beginning (writing to the prompt: what writing do you need to get done today and what concrete goal do you have for the next hour and the rest of the day?) and then we wrote. No Internet, just your laptop and 30-40 other academics sitting around, typing away. When it first started, I thought the sound of typing would drive me mad, but suddenly, after about 5 minutes of focusing, things started to flow. And before I knew it, the hour was up. There were four one hour slots, some discussion, and a good lunch (not sandwiches, but actually meat, vegetables, and fruit!). When it was done, I had finished a 1,000 word book review and done about 1,000-1,500 words of very heavy lifting writing on my analysis chapter (heavy lifting writing being very content heavy writing with lots of citations). It was a very successful day. I have to go back to it now and do some cleaning up, but all-in-all, it was great. Meaning embeds in context. The Great Wave off Kanagawa, likely the most prominent iconic Japanese painting in the West, meant one thing on Friday morning, another on Friday evening. My second supervisor said something in our supervision meeting last week that I suppose I tacitly knew, but hadn't heard explicitly: 'We don't know that the meaning of a text is contested until someone contests it.' Hokusai's Great Wave is now contested, burdened with a context that will likely stick in the mind for at least a generation. I have two sets of people I know, essentially: people I know that knew me when I was an Evangelical Christian and people that met me after I left the faith. My Evangelical Christian friend base is slowly shrinking because of time, I think. I haven't really become close to any new Christian friends since around 2007, and this suits me well. You can't help but feeling like a burden on those around you who have a strong faith and burdening my very close friends and family that are still faithfully religious is enough for me. But of my blog readership, I have a good mix of both, and despite my appearance of being an aggressive pragmatist poo-pooing on the supernatural, I don't want to be a negative, rain-on-the-religious-parade atheist: too many of the people I love most in the world are religious and to be dismissive of them is both unwise and wrong. On Saturday morning I noticed that #prayforjapan was a trending topic on Twitter and I quickly tweeted in anger: #prayforjapan = Things to make you feel better about yourself, not really change anything. I immediately felt bad about it, not because I didn't think it was the truth, but because it was the wrong thing to say at the wrong time. I was at one time a very fervent person of prayer: some of my readership will have been in prayer meetings that I organised, attended, and/or led. At one time, I was the 'Prayer Co-ordinator' in the Intervarsity Christian Fellowship chapter at my college. My memories of prayer are mostly memories of doing something I thought to be right, rather than something I personally enjoyed or took solace in. Of course, if you had asked me at the time, I would have said something completely different and indeed, my memory of it now is likely shaded by my present dark feelings about my history of religious expression. Still, I remember the practice of it much more than the effect of it. On September 11th, for example, we had an impromptu prayer session, attended by our mostly-absent-except-when-there-were-a-lot-of-people-around staff member. He was in rare form, I recall: from my limited experience, full-time religious staff people are talented at drumming up support in times of tragedy. People are particularly vulnerable to religious explanations to things when they are emotional and unstable. I went through the motions of the meeting, but I remember being more interested in talking with my roommate Rob about what would have happened if the planes had hit lower, how much more quickly the buildings would have fell. I was, certainly, not thinking about how many more people would be coming to our meetings in the wake of the tragedy. I prayed all through my college years. I prayed when I went to Japan to teach English. I prayed with Yoko before dinner when we were dating and first married. And I continued praying as an impulse for some time after I left the faith, right into last year, I think. In times of complete panic (usually related to my daughters), I would find myself praying again, reaching out is the right metaphor here. When you lose control, you want someone to have control. This has, however, tapered off and I can't remember the last time I prayed. It's been a long time. I remember not praying when we were broken into in November. I remember it being less of an urge that I resisted and more of an afterthought: I suppose I might pray. When Naomi was ill last time, she prayed by herself for the first time. Yoko mentioned this, either in a blog or to me, and I felt emotional suddenly, like I would cry. The thought of my daughter feeling so helpless that she would pray... I didn't resent it, though, and didn't even really think it was a bad thing. It was what she had seen her mother do and she did the same thing. When she is older she can decide what she wants, but for now, this sort of faith, the faith of a child who is still free from the frustrations of knowing more and more about the world, is beautifully pure. This is the prayer that I admire, I think. I see it in my wife as well: she prays for strength. She draws power and determination from prayer and is made better by it. Prayer, in these cases, is about what it can change: you. You change when you pray. And changing yourself is a remarkable thing. Perhaps even more dangerous is the thought that somehow one's prayer might actually accomplish some good in the situation; that you, by praying, might affect the situation on the ground. I can hear it now, 'Lord, we just pray that you would have your hands on the nuclear reactor, preventing the explosion, Lord God, with your strong and mighty power, Jesus, we know you are the protector, Lord God, and we ask you to protect those people, in the name of Jesus.' Then, when there is any good news, you can feel good about this, as though you have accomplished something, while meanwhile 2,000 bodies have washed up on shore today. If this isn't cognitive dissonance, I'm not sure what is. Soon to follow is the Christian meme about 'darkness' in Japan, the narrative about Jesus being the light of the world, the prayer to open the hearts of the Japanese people, and before you know it, the narrative has become circular enough that you don't need to think about it anymore, just continue going through the motions and saying the same words over and over and over again until they don't mean anything. I would have been upset about Lady Gaga when I was a Christian as well, as she really has no dog in the fight but her own celebrity. This prayer, the prayer of the bracelet, is just cultural narrative about a Judeo-Christian god that is neither really Jewish nor really Christian, just something out there, another column on the ledger where we put figures that we can't add up. The bracelet helps Lady Gaga boost her celebrity because she now is perceived as caring, something that is important for celebrities. And she didn't even have to go to Haiti. "...All I say is that it is not argument that convinces me of the necessity of a future life, but this: when you go hand in hand with someone and all at once that person vanishes there, into nowhere, and you yourself are left facing that abyss, and look in. And I have looked in...."
"Well, that's it then! You know that there is a there and there is a Someone? There is the future life. The Someone is- God." Prince Andrei did not reply. What can one say. 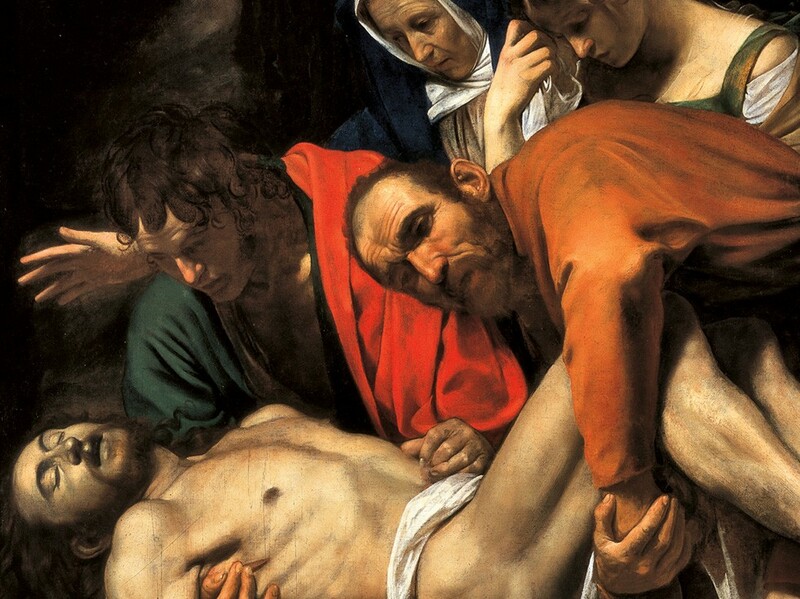 The Bible records Jesus' last words in Matthew 27:46, 'About three in the afternoon Jesus cried out in a loud voice, “Eli, Eli, lema sabachthani?” (which means “My God, my God, why have you forsaken me?”). Matthew doesn't add 'It is finished', as John does. No, Jesus dies questioning his being forsaken. This is the prayer that I've seen my wife praying this last weekend: the prayer that tells the truth about suffering and ends in suffering. It is the prayer of looking into the abyss and not seeing the bottom. So. Please pray for Japan if it gives you strength, but if you can, do me a favour and pray less like Lady Gaga and more like Jesus. You'd think giving money would be an easy thing. It's not. I gave to www.globalgiving.org, before realising that actually, I probably could have just given to the projects they're supporting directly and saved their fee for administering it. I suppose them getting a fee for administering it to the other organisations helps them grow and that's a good thing. I didn't want to give any money to an organisation that was paying to fly foreigners in to do work: I wanted to give money to Japanese relief organisations on the ground. That seemed to me like the best chance of actually getting the money to the people who need it. I tried to give to the American Red Cross, but they wouldn't accept my credit card (overseas transaction perhaps?) and it seemed like, behind all the tsunami relief talk, the money was actually just going to their International Relief Fund and would be allocated to Japan if it was needed. 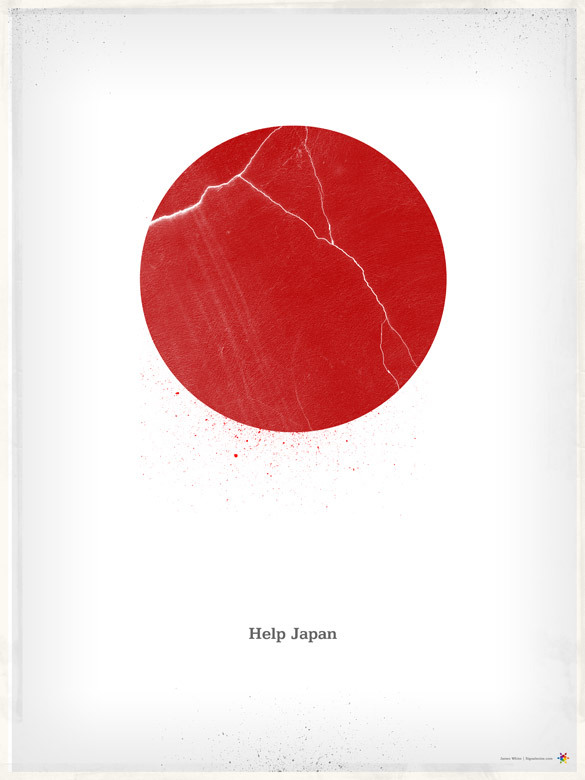 So then I discovered a page where you could actually donate to the Japanese Red Cross, so that's probably the best thing to do, although who knows how much of that goes into administration... If we were in Japan, it would be much more effective to just send food and blankets: people are doing that there. Perhaps it would be better to just have the in-laws buy stuff and donate it. But please, for the love of everything, don't buy a damn bracelet. You will be buying the smug satisfaction that comes from publicising your perceived sympathy, not helping pull a 78 year-old woman out of a collapsed house after three days. Everyone who buys a bracelet is due to spend an extra thirty minutes in purgatory. Doing good is apparently harder than it seems. And although I suspect my donation is ultimately pretty meaningless in the grand scheme of things, I appreciate the need to be a small cog in a larger machine at times. $10,000,000 is made up of ten million one dollars. And I won't encourage you to be a cog with me as I terribly dislike that kind of pressuring of people to care about the things you care about, but the links are there. Another morning, another day of bad news in Japan. Well, something surprising happened. I thought I went way up while I was in the States, but I was skeptical that I had really gained as much as the short term was showing, especially as I had overeaten only about three days, had worked out pretty hard three times, and was eating a lot of fruit and not many carbs. Of course, when I got home and saw the big red peak, I think I might have over-reacted. The result was a surprising drop this week. Most of this is due to me basically avoiding carbs and not eating heavily. I had a head cold for most of last week, so I didn't exercise past riding my bike to work, which also makes the drop more dramatic. I suppose more importantly, I stopped snacking and my weekends have been less consumed by feeling like I want to be eating more and feeling deprived. So that's a good thing too. Actually, that's not just a good thing. That's a great thing. That's what I set out to do in the first place. So I'm feeling like I'm slowly getting to where I want to be, mentally at least. I'm not sure where this ends: Yoko asked me how I felt. I felt great. I feel great. So I'm going to take it easy and see where my body takes me. I've noticed, in reading about the earthquake, several stories of foreigners saying, 'Everybody was told to do X, but I didn't because I thought it was stupid.' One was in the newspaper on the train last night and they treat it like, 'PLUCKY ENGLISH BLOKE SURVIVES ORIENTAL DISASTER'. I hate, hate, hate this narrative. Fewer people die in natural disasters when everyone stays calm and does what they're told to. The guy who says, 'This is stupid, I'm going to go do whatever I think is best' is the guy who makes this sort of thing worse. America and England are filled with these guys: I know many of them. But I gotta say, when the ground starts shaking, do what you're told. I read this in the Times too a while back: that if a nuclear bomb went off in New York, if everyone just stayed inside and didn't panic, the death count would be significantly less. Independent thought is not a context-free virtue. Yoko's family is all okay, but this is, obviously, not okay. A big (mega) earthquake was inevitable, but now that it's happened it's hard to believe. This morning I was watching the news, the tsunamis rolling in and killing people live on TV and had to shut it off to go to work. How can we study grammar at a time like this? What can be done? They/we have been waiting for a large earthquake in this area and it's hard to say, but true, it could have been much, much, much worse if it had been further to the south. Tokyo? Osaka? You can only imagine that wall of water rushing through Shibuya on a Friday night. This happens. This is something that happens. I was watching Magnolia when the Niigata earthquake came in 2004. I didn't know what to do. The Japanese are a strong, resilient people. The things that frustrated me about Japanese culture when I was there probably saved thousands of lives today: everyone did as they were told, did what they had learned in their earthquake drills, and stayed calm. They are/will be stoic in the face of nature and rebuild and be even better prepared next time. So, today, for what it's worth, I'm proud of my association with Japan, however small and insignificant it is. Naomi drew this pretty cool pattern that she cut out and coloured. Her assistant is non-plussed. Perhaps they take after their parents? 5:45 Although I had set my alarm for 6, my body got up, so I went with it, checked my e-mail and made and ate breakfast. Weight /body fat percentage back to same as the day I left for America: great feeling. 7:20 Arrived at work and didn't take a shower, but started working immediately on some writing for my supervisors that was due at 9AM and which I had not been able to finish over the weekend. 8:30 Got the writing done, including tables and sent it off. And then got to work on coding some of my data for a meeting at 12. 10:00 Went to library to get a book/return a book. 10:10 Took call from surgeon for consultancy about impending minor surgery. Set initial consultancy date. I probably shouldn't be as pleased about this as I am, but it's going to uncomplicate one area of my life that has been too complicated the last five years. Yoko's happy, I'm happy, everyone's happy. 10:20 Stopped by the blood donation centre which is set up on campus every so often and which I had an appointment for at 11:20 and said I had been sick the last week and probably couldn't give blood, right? 'No,' they said, 'So long as you're feeling fine today. Are you feeling 100% today?' 100%? I thought. Well, yes, no, I don't know, whatever, can you take me now by any chance? Gave blood. 11:00 Returned to desk, coded more. 11:30 Had a lunch and packed everything up so I could leave the OU directly after my meeting. 12:00 Had meeting with supervisor and colleague to look at my coding of metaphor vehicles in my data to check my reliablity. More or less reliable. The way I roll. 13:20 Meeting ended and cycled back to the house. Had a crazy experience on my bike where someone got upset with me and followed me in their car, getting out at one point to throw something at me before driving off. Really, really crazy experience and left me feeling terribly troubled. When the car stopped and the guy started rummaging through his back seat for something, I thought, This is it for me. In the States, this could have well been a gun. Not sure what he threw, but I didn't stop, so it was quite a distance he was trying to make up. Bizarre. Got me thinking about gender, being male, fighting, and territorial instincts (always a social scientist, even at a moment of terrible fear). Really? I thought, You are going to hurt me because I pointed to a Give Way sign and yelled, 'That's you!' when you almost hit me? 13:45: Got home, showered, packed different bag, fried vegetables and left for train station. 15:45 Got to London, stopped at Starbucks, got on Underground to Middlesex (posters everywhere for Norwegian Wood, coming out in the UK on Friday! ), walked to campus from station. 17:00 Arrived at campus, met the person I who organises the series of talks I was a part of. 17:30 Gave talk to 4 people, including organiser. A good group though: two of my students from last year. Got a good idea of how I might rework it for my talk at the iMean conference in Bristol in a month or so. 18:45 Left campus with organiser for dinner. Ate at the Great Nepalese Restaurant next to Euston. Talked Murakami, future of higher ed./our university. 20:46 Train back to Milton Keynes. 22:00 Arrived home, checked e-mail, watched Austin City Limits. Today is Pancake Day in the UK. No, really, it's Pancake Day. It's a thing, I guess. We are going to a church Pancake Feast tonight, and I will eat judiciously. Notice something different in your browser tab? Nice, right? UPDATE: I also did some work on my cartoon on the right of the page so that cartoon Stephen is on a transparent, rather than white, background. That was more work than it should have been.